One of the community’s greatest achievements is also one of North America’s most well known companies. 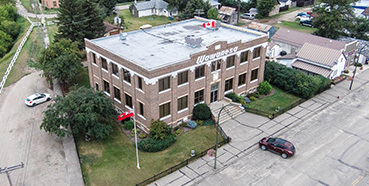 The village is the home of The Wawanesa Mutual Insurance Company. Created in 1896, the head office is still located in the village. The success of this local business bearing the community’s name brings a feeling of pride to past and current residents of Wawanesa. One summer night in 1895, Alonzo Fowler Kempton and Charles Kerr sat beside a prairie campfire near Wawanesa, and shared a jar of whisky. They also shared an idea that, once launched, would last a century and beyond. These men founded the Wawanesa Mutual Insurance Company, one of Canada’s largest general insurance companies. Kempton knew farmers were having trouble paying premiums for coverage on their highly combustible wooden threshing machines. He felt a mutual company, created by and for farmers, would be more efficient, and could consequently charge lower premiums. Kempton soon earned the trust of 20 local farmers, convincing them to invest $20 each to finance the new company. On September 25, 1896, The Wawanesa Mutual Insurance Company was born. Two weeks later, Charles Kerr hand wrote Policy No.1, insuring a thresher for $600 at a premium of $24 for three years. The new mutual’s start-up costs were burdensome. At the end of the first year, the company’s surplus was a meager $5.96. For the next couple of years, despite an increase in the number of policyholders, losses remained high. The steam tractors, used to power the wooden threshers, continued to shower sparks out of their straw-fired boilers, burning up machines and crops at a rapid pace. At the end of the century, the company diversified its coverage. This now extended to other farm equipment, farm buildings, schools, and churches. In a far-sighted decision, operations were also expanded into what would soon become the new provinces of Saskatchewan and Alberta. Over the years, the company spread with 8 branches across Canada, and in the 1970’s became the first Canadian general insurance company to successfully enter the United States. The San Diego Branch opened in April of 1975, writing over $200,000,000 in Premiums in California and Oregon by 2003. Further U.S. expansion is anticipated. Serving the policyholder better is something that everyone at Wawanesa has always regarded as the main goal. "Surveys over the last few years consistently place Wawanesa at the top of the industry in terms of customer satisfaction,” says Wawanesa president, Gregg Hanson. "In a mutual, the customer and the shareholder are combined into one. Every customer who buys a policy from Wawanesa also owns part of the business,” notes Hanson. As a result, the number of owners grows every day. 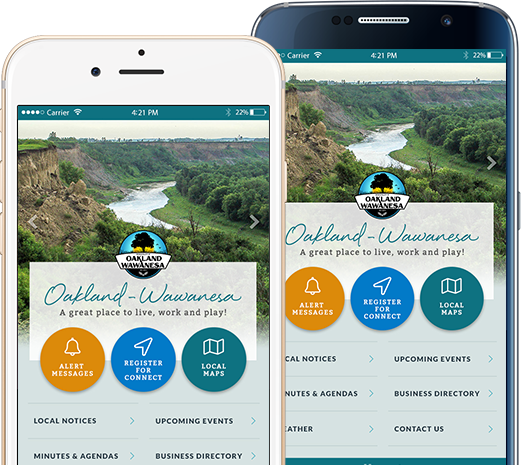 There are now more than 1.2 million Wawanesa policies in force, with company assets in excess of $2 billion. As a secure and stable company, Wawanesa has built a reputation of putting the policyholder above all else. 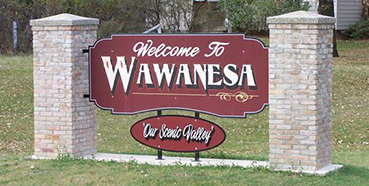 The Village of Wawanesa is still the Head Office for this great company with Executive Offices located in Winnipeg, Man. 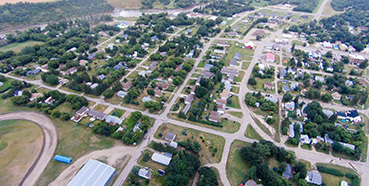 The local Branch employs over 50 staff and services rural Manitoba and all of Saskatchewan. In this respect, the company is much the same today as it was in 1896. The prairie farmers who formed The Wawanesa Mutual Insurance Company weren’t content to limit their efforts – they recognized the potential of their enterprise to serve a much larger community. 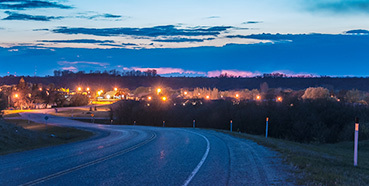 A century later, the people at Wawanesa view their present achievements as a backdrop to what can be accomplished in the years to come. It is certain that stability and service, the values that have always been the backbone of Wawanesa, will continue to guide the company in its second century.